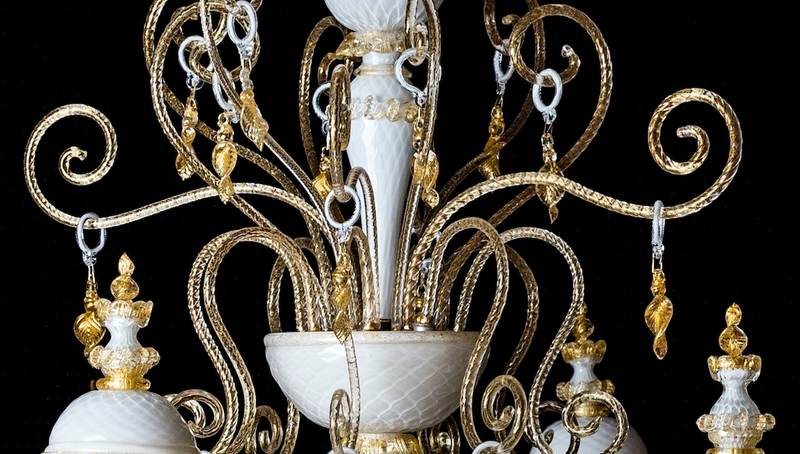 Example of a chandelier made on customer's design in mouth-blown glass with decoration in 24kt gold and lamps in milk white colour glass. Dimensions: 8 lights. 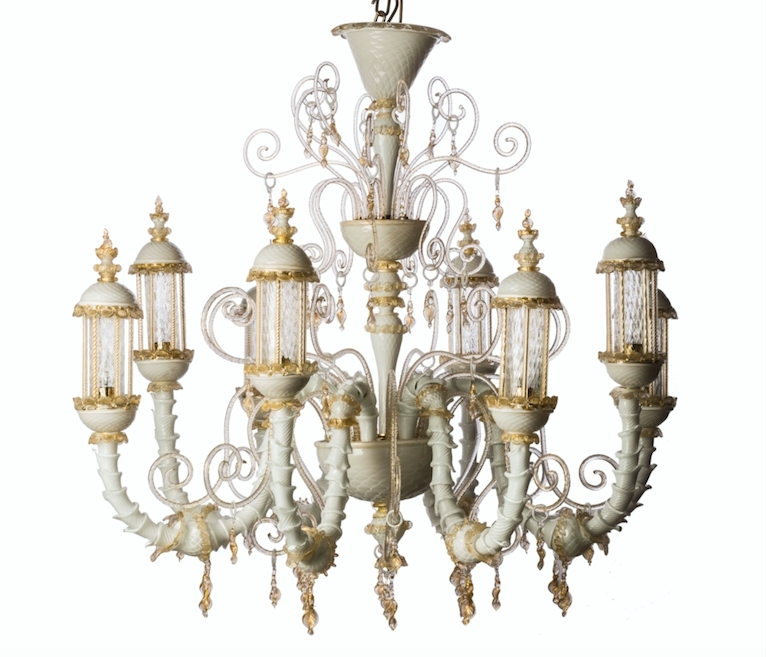 Diameter 39x(h)47 inches. 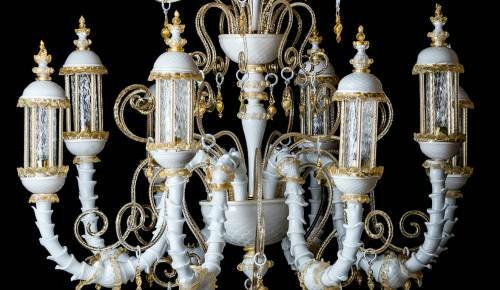 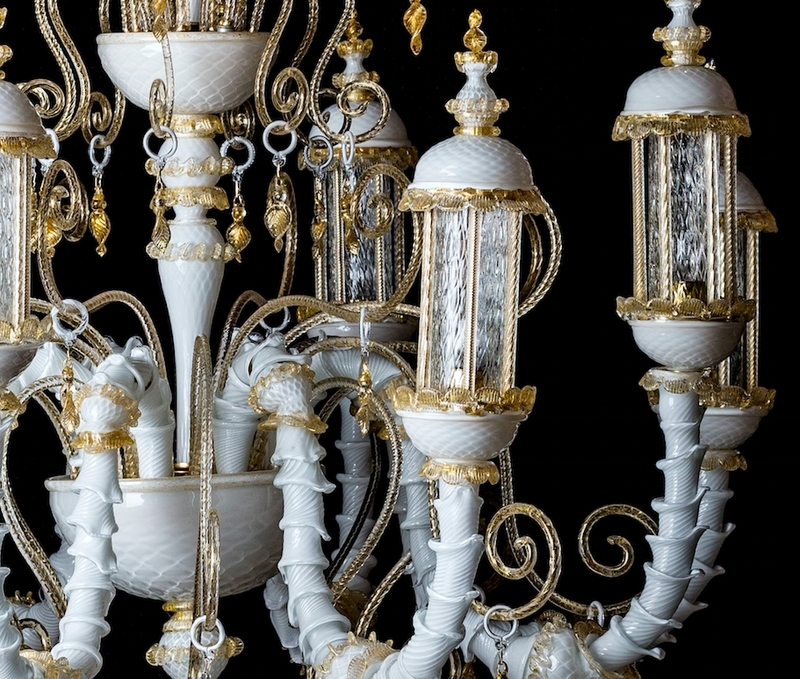 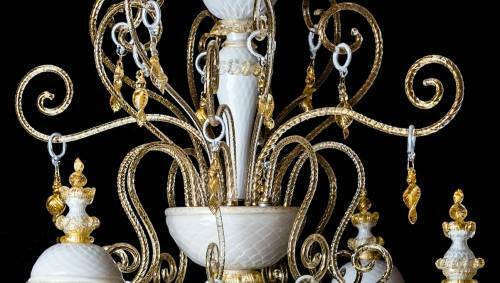 Rezzonico Style - Andrea Grandin: Example of a chandelier made on customer's design in mouth-blown glass with decoration in 24kt gold and lamps in milk white colour glass. 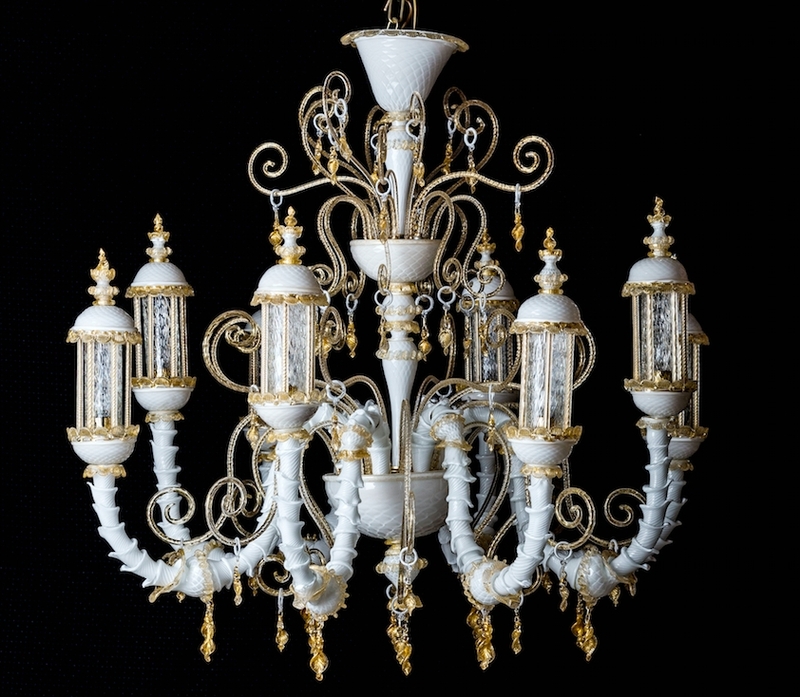 Dimensions: 8 lights. 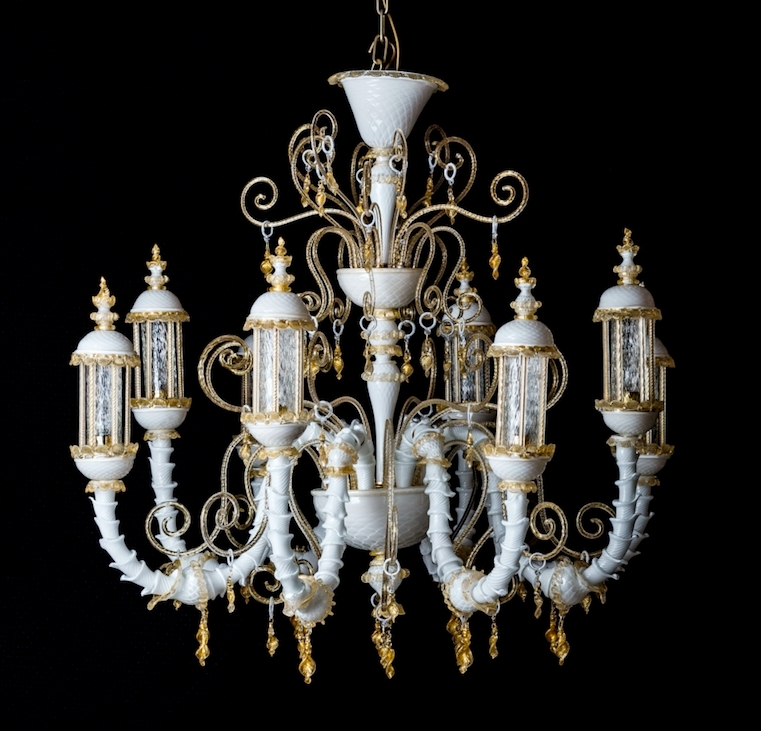 Diameter 39x(h)47 inches.